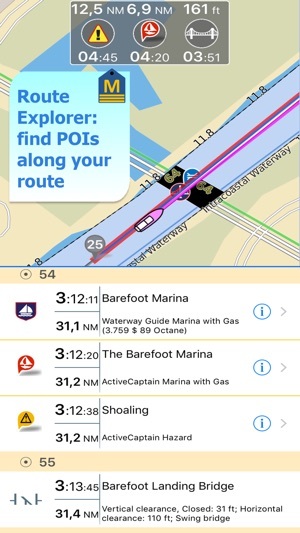 An app to satisfy all your Fishing and Boating's needs, developed with the help of expert boaters. 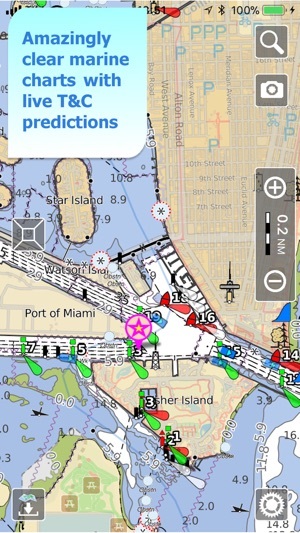 Download the best up-to-date Nautical Charts to safely enjoy the new boating season. 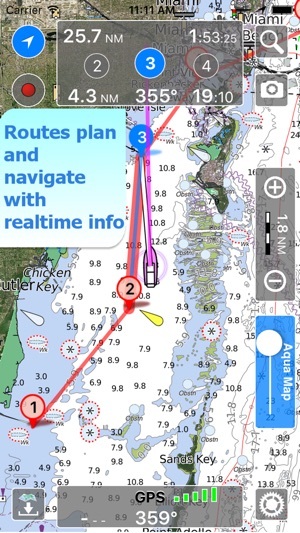 With the Aqua Map Master transform your device in a real ChartPlotter. Plan your trip, insert and edit waypoints. Navigate your route and monitor distance, time (ETA) and direction toward your next waypoint or your final destination. 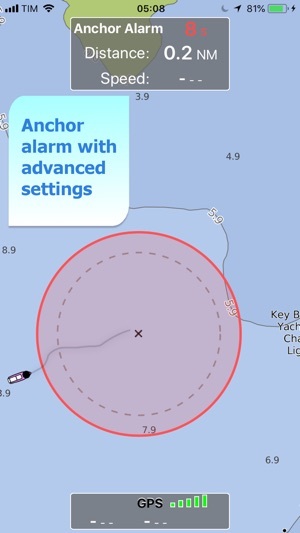 This function will check in realtime your GPS position against your anchor position previously defined. An acoustic and visual alarm will run as soon as your GPS position is out of the preferred range. 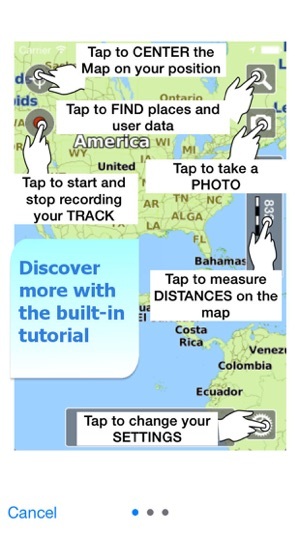 You can calculate the prediction for more than 6800 stations in the US & Canada. You can also have a simulation of the T&C trend on the map. You can share your favorite's markers on Facebook or send an email with your last daily track. 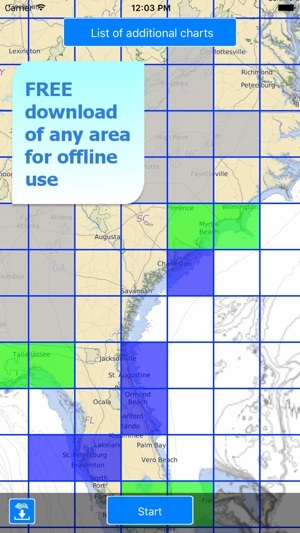 Not only, you can also load any KML, KMZ, GPX (also zipped) found in internet or received from your friends. With this subscription you will access a set of advanced functions that will transform your device in a real ChartPlotter (.. and more). 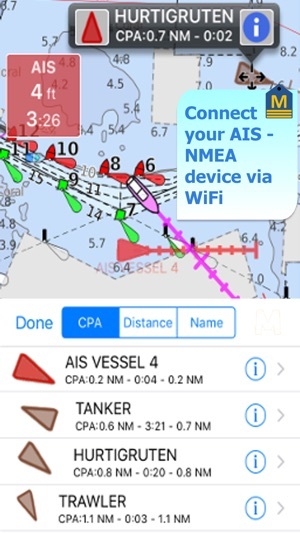 Connect your NMEA (and SignalK) devices through the WiFi and use their data for all the App functions (eg Anchor Alarm), download and display the last USACE surveys, consult the Route Explorer with bridges, hazards and best fuel prices calculation, display the AIS targets on the map with automatic collision detection. - Subscription: it is a one year auto-renewable subscription, it will automatically renews unless auto-renew is turned off at least 24-hours before the end of the current period. Subscriptions may be managed by the user and auto-renewal may be turned off by going to the user's Account Settings after purchase. In this version we solved some bugs. This is a very good navigation app. 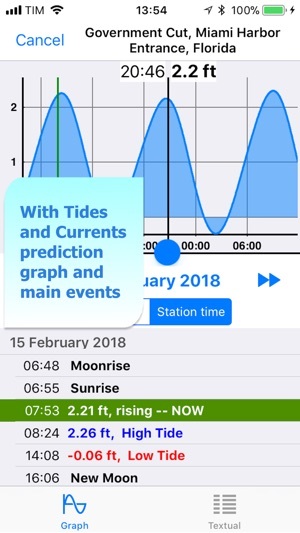 I bought it specifically because it offers Explorer Charts on a non-subscription basis but I was presently surprised at how well tides, Active Captain and waterway info is integrated. It also provides much better detail than Navionics in shallow areas. I do find the download and chart purchasing process clunky like having to buy through iTunes - really. Also it is not as smooth or fast at transiting scale as other navigation apps and seems to lag at times. The zoom function I find worthless on a phone and wish I could make that button disappear. All in all though a good app with distinct advantages. 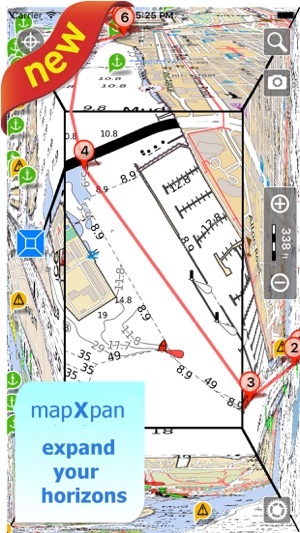 I was looking for an alternative to BlueChart mobile since Garmin has again decided to take a good product away from us just as it became popular on the market. Blue chart mobile now lies in the huge graveyard of other discontinued Garmin products. But that is ok because this App is one of the very best on the market, at any price. 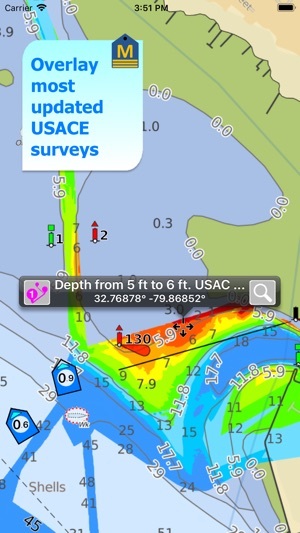 It has lots of useful features with all the detail of the US coast that the most expensive electronic charts have. Can’t believe it’s free! One negative is the lack of coverage in the Bahamas. My understanding is that the only charts with detailed coverage of the Bahamas are the Explorer charts. This is a pretty good marine Nav map for a gps equipped iPad. I wish it had an option on minimum font size, since it seems to always scale some type down so small I can’t read it. That plus show AIS on the map, if you’re in internet range would be nice.